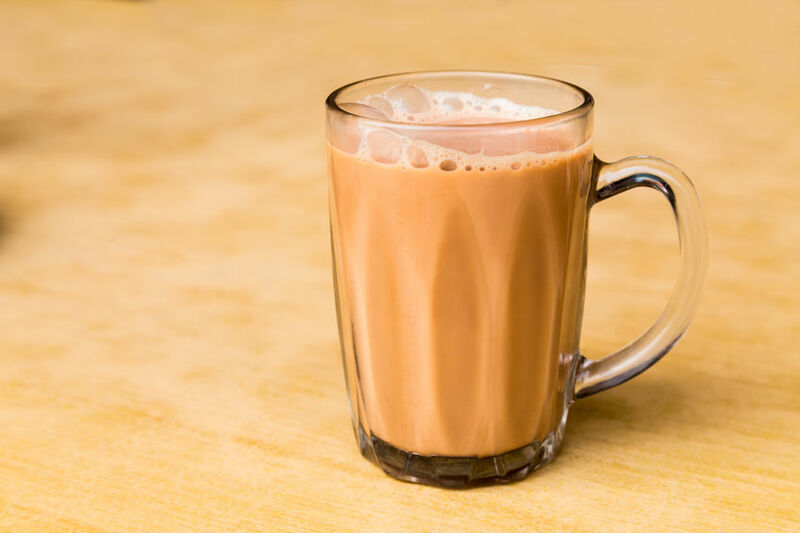 Yuit Cheong’s rendition of the iconic Malaysian beverage, translated as “pulled tea”, is said to be one of the best in town. It is usually enjoyed at breakfast or teatime to accompany a side of bread or pastry. Each coffee shop has their own method of making this foamy drink, which involves skilfully pouring and pulling long streams of freshly brewed tea between two steel mugs. This recipe was first published in Flavours magazine. In a saucepan, bring water to a boil, then leave to cool for a few minutes. Place tea dust in a cotton tea strainer over one metal mug, and add water. Let stand for 10-15 minutes before removing the strainer. In a separate metal mug, add condensed and evaporated milk. Carefully pour the two mixtures back and forth from the height of an arm’s length to create a thick froth. Once frothy and well mixed, pour the tea into two glasses and serve immediately.